Hello friends! Happy Holidays and Merry Christmas! I'm so glad you stopped by for my 12 Days of Christmas celebration. 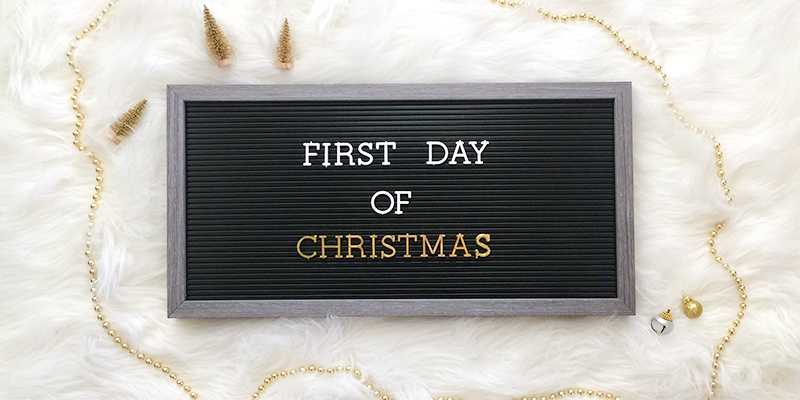 Today I'm sharing an idea for a Christmas countdown you can make and fill with toys, treats, ideas for holiday activities or advent scripture verses. 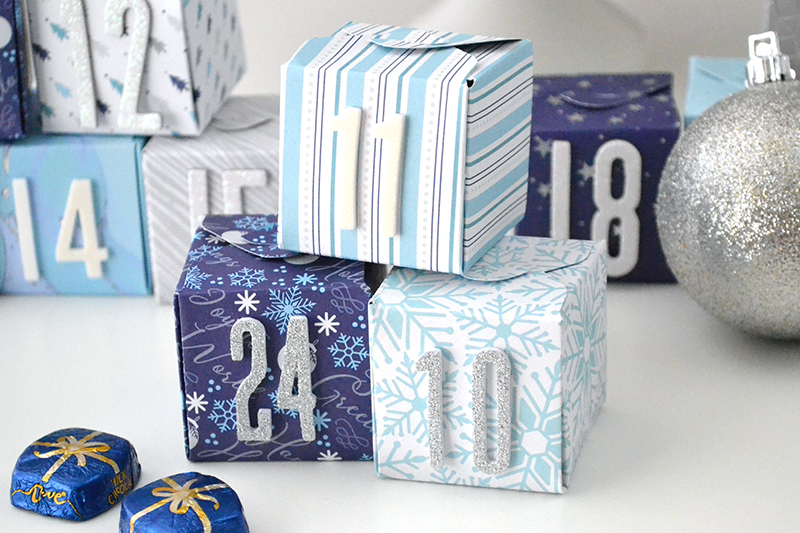 This countdown idea is a lot of fun, and can be for the whole month of December leading up to Christmas, just for the 12 days before Christmas, or you can make it however long you'd like. 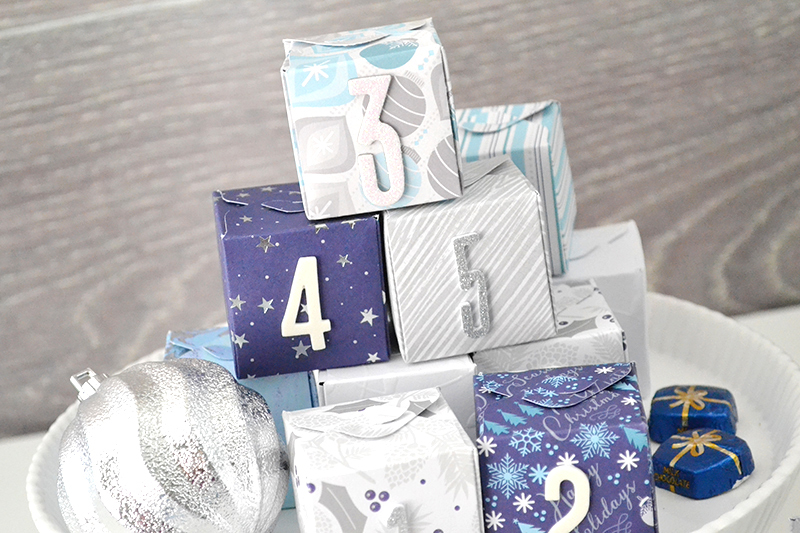 My boxes are all 1 3/4 inches square, but you can make them a different size if you'd like. 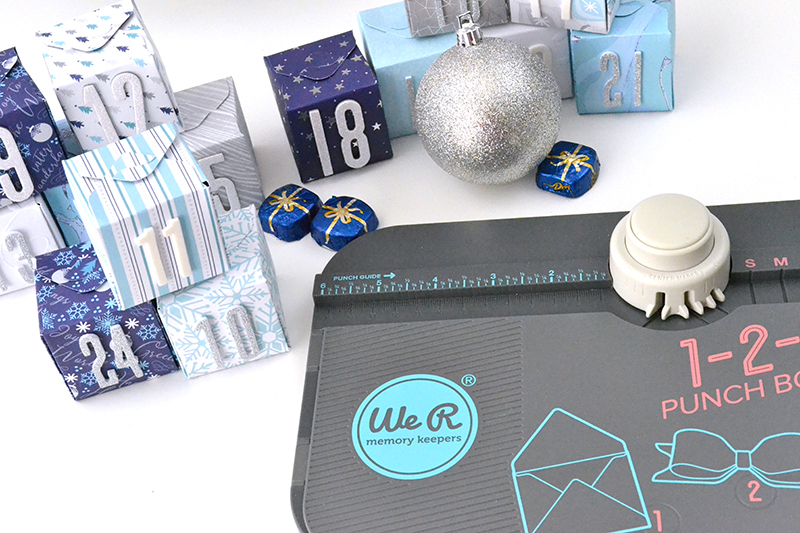 To make the boxes for this countdown, I used the 123 Punch Board from We R Memory Keepers. The tool is easy to use, and the boxes have slits at the top so you can open and close them conveniently. 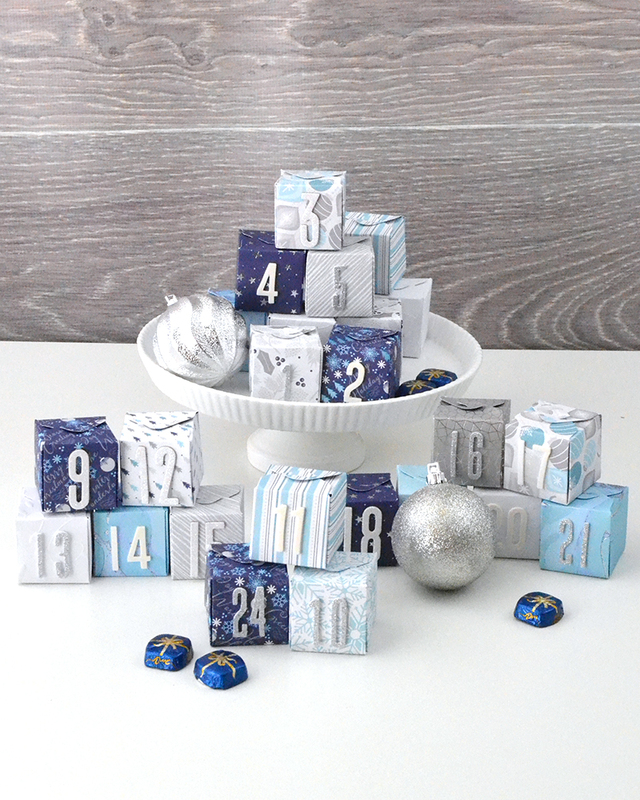 I used papers from the DCWV Winter Frost 12x12 Stack, as well as the Embossed White Holidays 12x12 Stack. 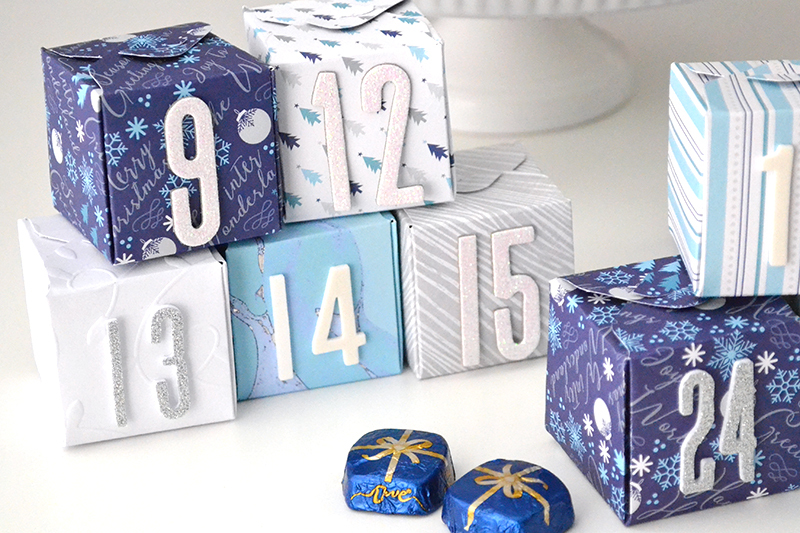 I added a piece of candy for each child inside, plus an advent scripture verse type on a small strip of paper. 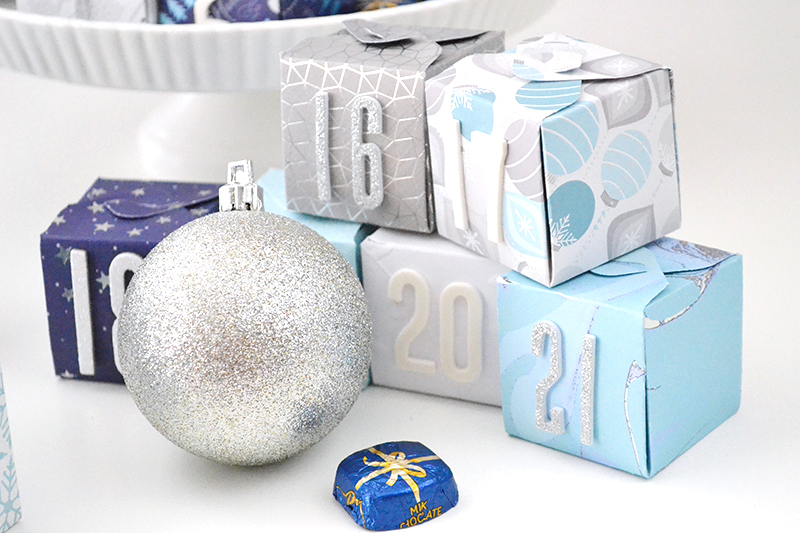 Once I closed each box, I added some white and silver Thickers from American Crafts. Each night we open the box with the corresponding number for that day, read the scripture verses, and then the kids eat their piece of candy. Its a fun tradition that my kids look forward to each year!